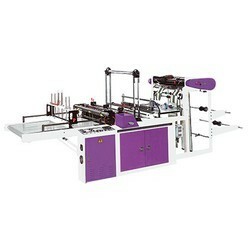 •Pressure boosted design incorporates outstanding features of pneumatic quick motion and hydraulic great power output. 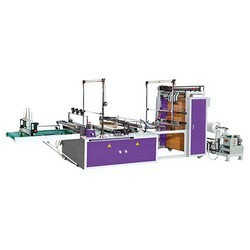 •Safety gear: operating the machine must be done by both hands. 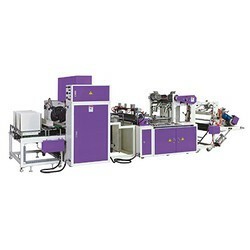 •The machine is fed by servo motor,providing small tolerance on bag dimensions,and easy maintenance. 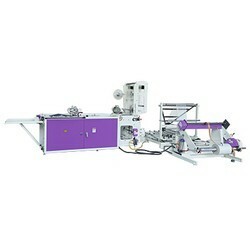 •The machine is especially designed for glove type bag making also make record bags, irregular bags and other general bags. 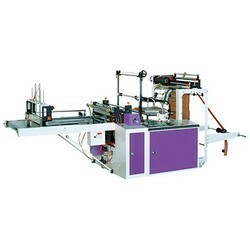 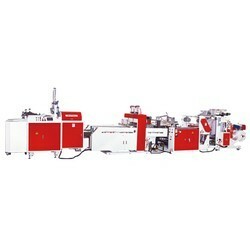 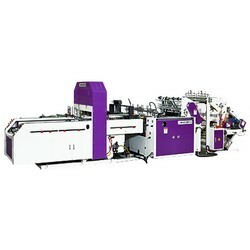 •The machine is especially designed for making T-shirt bags with auto packaging device. 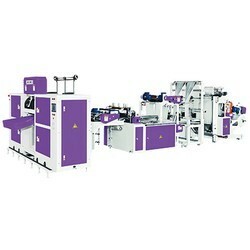 •Applicable to make bottom sealing bag & laundry bag. 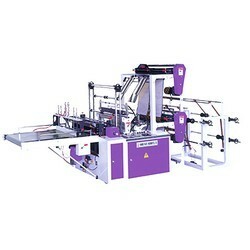 •Operated with an electronic controlled and servo driver to ensure perfect sealing & cutting . 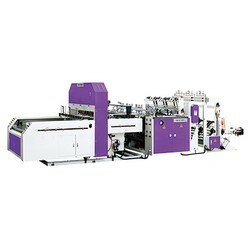 The machine stops as soon as abnormality occur. 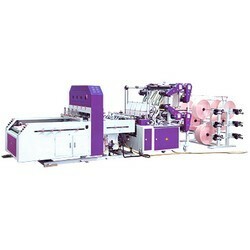 •Double layer for 4 lanes in total. 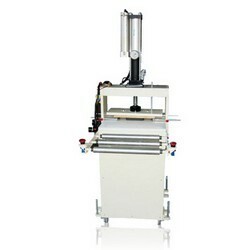 •Equipped with double servo motor and double photo sensor. 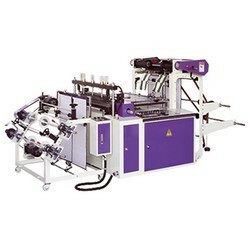 Operating simultaneously with double line of different sizes of printing bags and plain bags.